Fastpitch Softball | Tips to Improve Game Confidence and Performance: Does Your Athlete Have a Plan? Whether in school, softball or life it is important to have a plan of action if you are to reach whatever goals or objectives you set. Does your athlete have such a plan? Fastpitch softball can be a brutal and unforgiving game if she does not. Anticipate how to play a ball based on the speed, spin and angle. After the game assess your performance by your standards, not those of your parents or coaches. Make a plan of what you need to work on in practice to get better. As a player you can approach your game by design or by default. All elite athletes have a plan with which they execute with precision and passion. Have your athlete write down in her softball journal how she will execute her physical and mental game plans before, during and after her next game. If her goal is to become a consistent, peak performer she will need an excellent game plan. 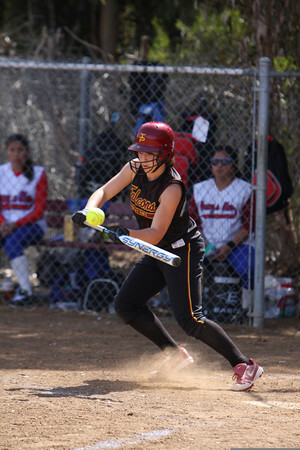 To learn more about how your athlete can be the best she can be visit us at Winner's Edge Softball or Softball Smarts. Sign up for your FREE weekly Softball Smarts Tips on how to recognize then master the 21 Mental Performance Killers that sabotage your athlete's success.